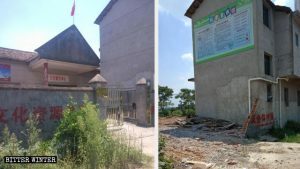 Xishan Temple, which cost one million RMB to be built in 2005 by a Buddhist woman from Huangshi city, in the central province of Hubei, is now a pile of ruins — thanks to a government demolition crew. 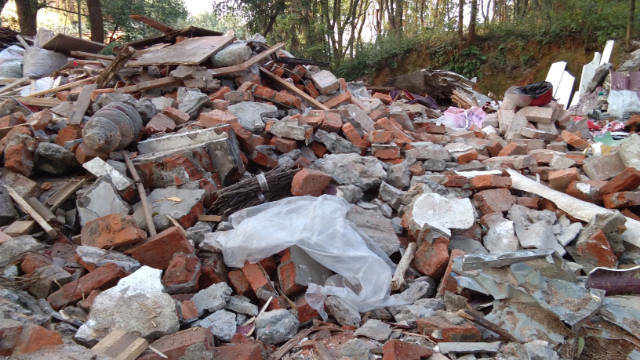 Xishan Temple has been turned into a pile of ruins. 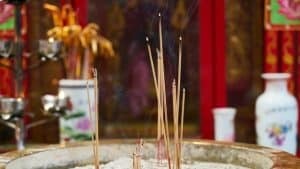 In late September, two local village officials arrived at Xishan Temple, claiming the central government stipulated that any temple without a permit is illegal and must be demolished. The officials also demanded that the temple’s owner, Li Zhen (pseudonym), who had lived there for 13 years, moved out of it. When she was, unsurprisingly, unwilling to move, they locked Li inside the temple and kept her there under house arrest for three days. Afterwards, the local government began the demolition of the temple. 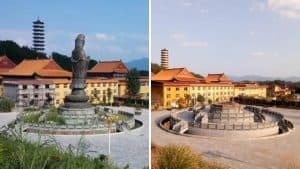 Villagers revealed that in late October, eight officials—including officials from the local Religious Affairs Bureau and the president of the Buddhist Association—forcibly removed all of the Bodhisattva statues, worth hundreds of thousands of RMB, from the temple, loaded them onto four large trucks and took them away. To compel Li Zhen to agree to the temple’s demolition, government officials previously threatened to demote her nephew, who works at the Public Security Bureau, and forced him to persuade Li Zhen to agree to compensation of 200,000 RMB (about 29,100 USD), but she refused. On November 13, more than 200 law enforcement officers, including public security and urban management personnel, came to tear it down. According to sources, on that day, the government dispatched five large buses, one excavator and one ambulance. More than 30 law enforcement officers stormed the temple, and, without listening to any objections, issued a destruction order. 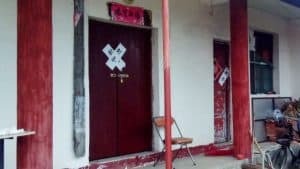 In the face of the government’s despotic power and brutality, Li Zhen had no choice but to plead to be allowed to take her things before they started tearing down her home, but officials refused, even going so far as to order four law enforcement personnel to drag her out of the temple. 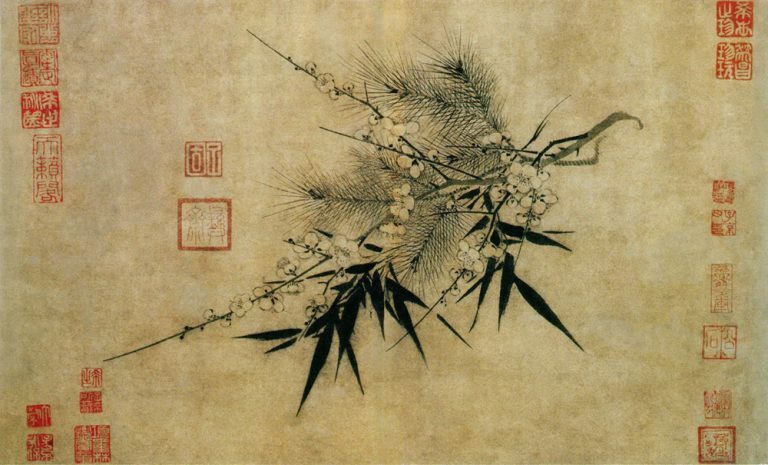 The police also forcibly expelled Li Zhen’s daughter and daughter-in-law from the temple. Video: Police stand guard as the temple is forcibly demolished by an excavator. 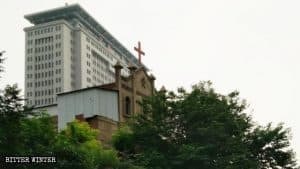 In 2006, Li Zhen tried to get a religious venue permit, and spent 11,000 RMB in the process, but a permit was never issued. 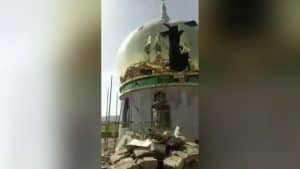 According to sources, after the temple was demolished, the Religious Affairs Bureau called Li Zhen’s daughter, threatening them to not file a petition, publish the story in newspapers or upload videos of it online.